Remember that publishing services portal which PastPencil and the bookseller Books-a-Million launched in April 2015? They relaunched it last week with a new name and a new lure to pull in the unwary. According to the press release, BAM! 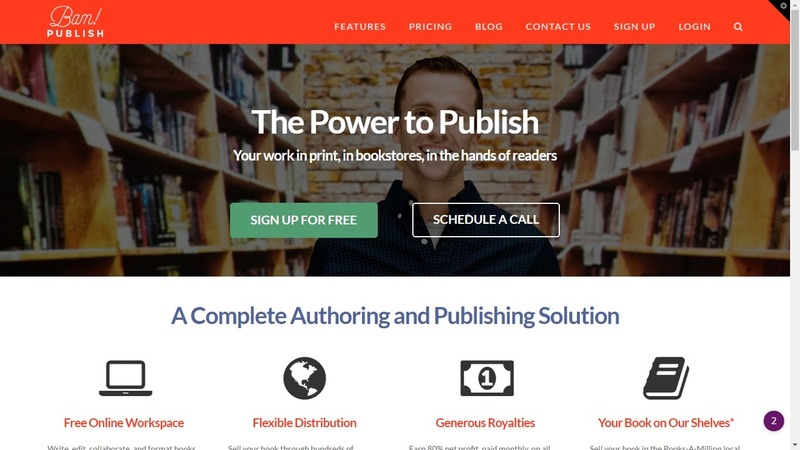 Publish is "an intuitive publishing platform with an integrated in-store book placement program". Strip away the marketing dross and we see that this is a services marketplace run by FastPencil where publishers and authors can either buy a distribution package or specific services like editing, design, or an author website (I can do that). I call it a "services marketplace" because there are so many sites like this one that they're now a category which includes Bookbaby, FastPencil, and a half-dozen other sites. The one major difference between BAM Publish and the other sites is the promise of in-store placement. Yes, BAM is dangling the same lure as Nook Press Print: use a bookseller's platform, and you might be able to get your book in their stores. In the case of BAM, that promise comes with a few strings attached. Barnes & Noble has similar requirements for getting into its stores through Nook Press Print; authors have to sell 500 ebook copies through Nook Press and get the approval of B&N's small press dept. B&N's requirements are less restrictive, and the potential reward higher: it has over 600 retail stores to Books-a-Million's 260. Nevertheless, I question whether either program is worth it; the costs are high and the potential gain is minimal. With romance, thriller, and SF genres, for example, the market has largely gone digital. And since Createspace can distribute a POD title to bookstores, it obviates the value of bothering with niche programs like Nook Press Print or BAM Publish. There are still many people to whom getting a book ‘published’ by some other party is far more important as a mark of success and achievement than actually selling any copies of that book. I know at least two of them. And as long as they are around, sites like this will have a market. Given many bookstores will not stock CreateSpace books on principle (why would they want to support their biggest rival), and given CreateSpace does not offer print titles as part of the normal delivery infrastructure whereby bookstores receive and return book, there remains value to using these services *if* meaningful in-store placement can be offered. Te big issue for most authors will be the buy-first and maybe-later get the in-store facility. But for established indies and hybrid authors with brand recognition, getting placement ought not to be a problem, and if they can convince management there might well be some money to be made from the many readers who for whatever reason prefer print.